This awesome blanket looks amazing. If you are really crocheter it can’t be you will not note it on you to do list. Every flower is unique and finally blanket fascinate everybody. The magic of this project comes from colours, have to be mixed in harmony variation. 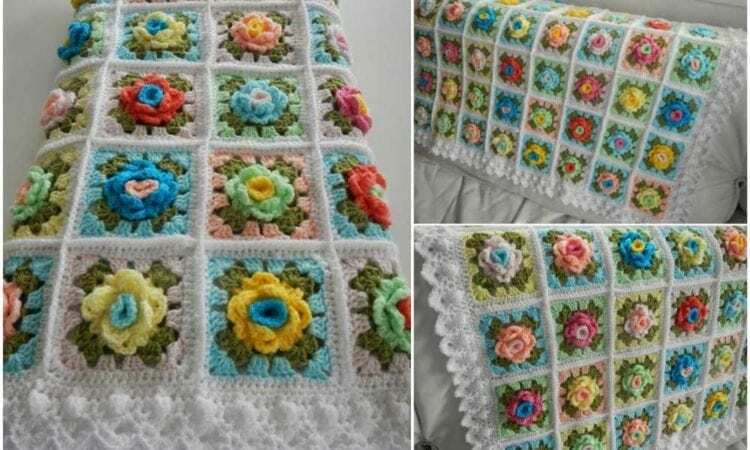 Amazing crochet blanket in six steps – pattern is quite easy.